The contributor role is the role with the most limited access in a localization project. It corresponds to translators, and gives users access only to the assigned language(s). Translators can be added by the project owner or by one of the admins, either from the project page (using the Add Contributor button next to the language), or from the language page (using the Add Contributor button in the menu on the side). You can also quickly assign all the contributors added to a project to a new localization project using the Copy setup from another project feature. In the case of public projects, translators can also join languages on their own, via the project's join page. In Project Settings > Advanced Settings, there is a feature for public projects called New Contributors Require Moderation. The owner of the project or an admin can turn it on, if an extra filter is needed, before contributors coming from the public join page can edit the language(s) they joined. You can also add contributors to a project using the API. Block: restricts the contributor’s access to the language. Revoke: removes the contributors from the language. Approve: unblocks the contributor’s access to the languages. You can use the comments section to share information with translators regarding particular strings. 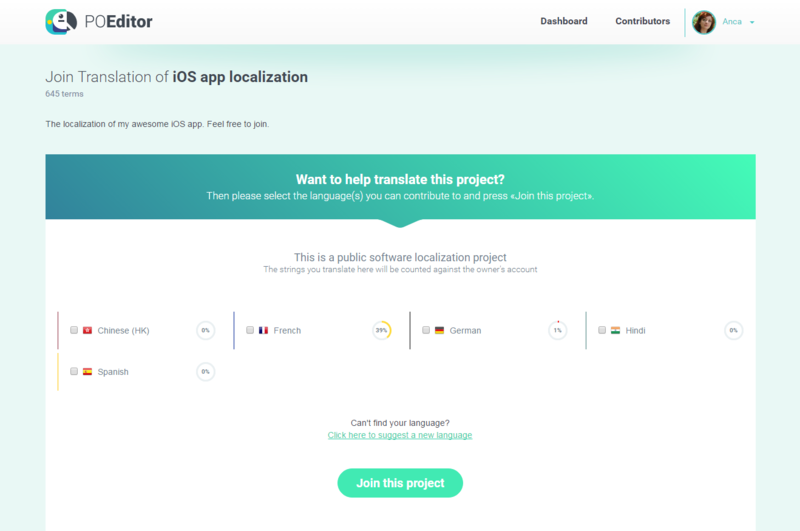 If you want to send a message to all the translators contributing to a language, or to all the members of the project, you can send them notifications via email. Note: If a user is not receiving some email notifications, they may be on our suppression list. 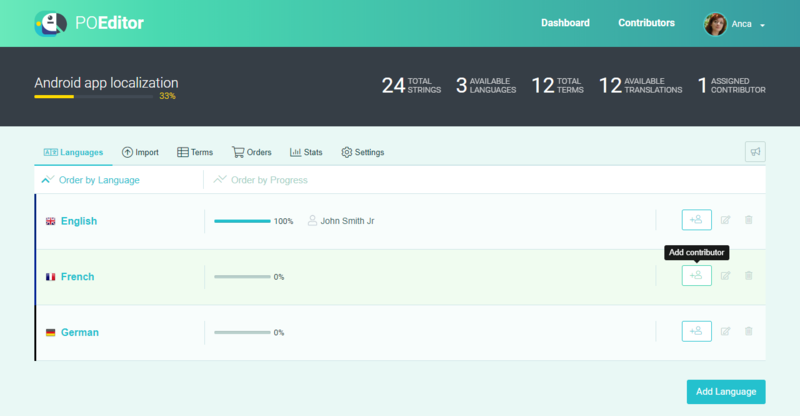 POEditor offers reports for each contributor. To access these reports, go to the project page and click on the Stats button in the menu on the right. 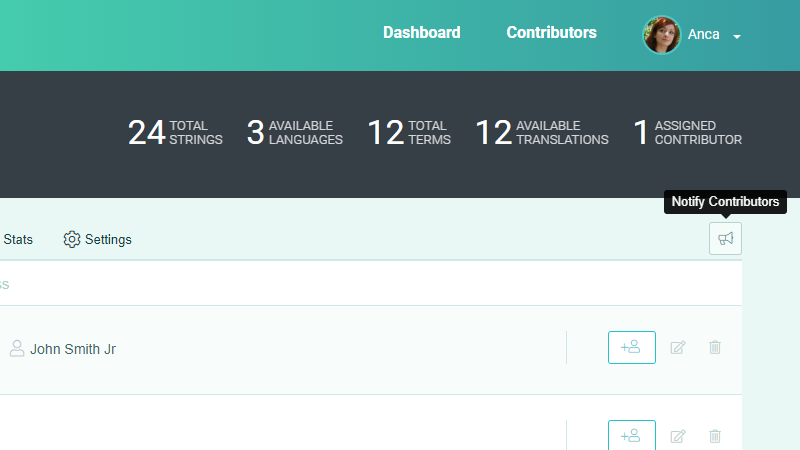 Click on the Reports by Contributors tab to view the stats for each translator. At the bottom of the project page, a Live Activity box will appear, if at least one person is connected to the project. If they perform any actions (add/delete translation), those will also be streamed. 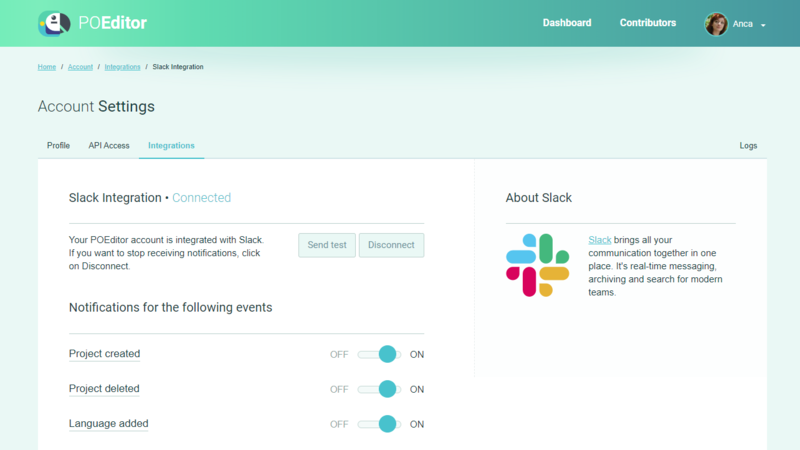 If you are using Slack, you can get even more realtime notifications about the activity in a localization project. You can connect these services to your localization project by accessing the Integrations page in Account Settings. In Account Setting, there is also an Activity Log you can check, to see what has been happening in your project in the past 30 days.